William Henry Pratt was born in Camberwell, London, England on Nov. 23, 1887 and died Feb. 2, 1969 in Midhurst, Sussex, England. He attended London University where his siblings pushed him toward a career in government service, but he turned to acting instead. He immigrated to Canada in 1909, joined a touring company based in Ontario, took the stage name Boris Karloff and then spent ten years doing Repertory Theater touring back and forth across the USA in a variety of low-budget theater shows and eventually ending up in Hollywood with very little money to his name. Needing cash to support himself, Karloff got occasional acting work in the fledgling silent film industry, appearing in more than 45 films including a handful of serials (the majority of which have not survived). Karloff supplemented his meager film income by working as a truck driver in Los Angeles, which allowed him enough time off to pursue acting roles. 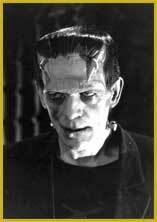 His most notable role was Frankenstein in Frankenstein (1931) and the aura of mystery surrounding Karloff was highlighted in the opening credits where he was listed as "?". He was considered such an anonymous actor by Universal that he wasn't invited to the Dec. 6, 1931 premiere of the film. Some of his other well-known films include: Five Star Final (1931), The Mummy (1932), The Lost Patrol (1934), The Bride of Frankenstein (1935), and How the Grinch Stole Christmas (1966). One of his finest performances was in Peter Bogdanovich’s Targets in 1967 – his final film. Targets was performed when Mr. Karloff was in great pain because of the many years of wearing very heavy makeup and costumes yet it does not show in the movie. 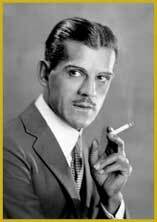 Mr. Karloff was dedicated to the art of film and was one of the founding members of the Screen Actors Guild. 1960 Walk of Fame: Motion Picture Awarded February 8, 1960 at 1737 Vine Street. Television Awarded February 8, 1960 at 6664 Hollywood Blvd.